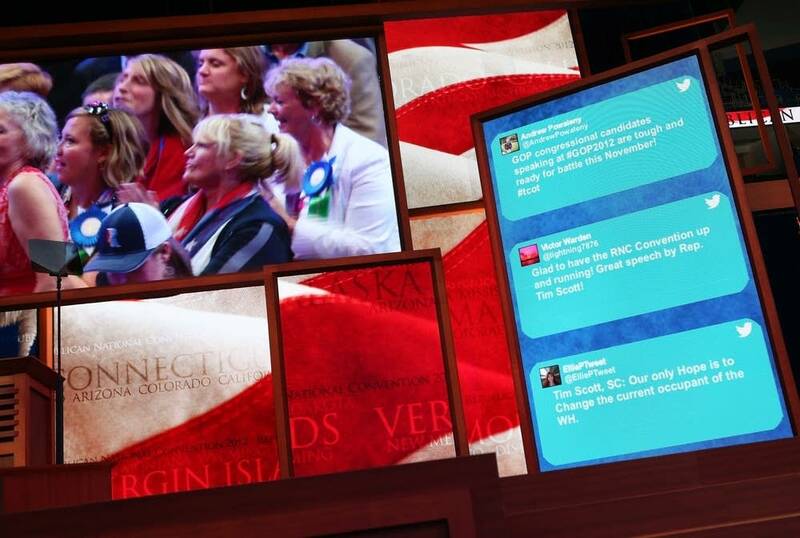 How are voters using social media to talk about the election? In this presidential election season, an increasing number of people are flying their political flags and engaging in partisan battles on social media. Some 60% of American adults use either social networking sites like Facebook or Twitter and a new survey by the Pew Research Center's Internet & American Life Project finds that 66% of those social media users--or 39% of all American adults--have done at least one of eight civic or political activities with social media. Overall, there are mixed partisan and ideological patterns among social media users when it comes to using social media like social networking sites and Twitter. The social media users who talk about politics on a regular basis are the most likely to use social media for civic or political purposes. And the social media users who have firmer party and ideological ties--liberal Democrats and conservative Republicans--are, at times, more likely than moderates in both parties to use social media for these purposes. How is social media changing our political conversations and our relationships with friends who might have different political leanings? Judith Donath, fellow at The Berkman Center for Internet and Society at Harvard University, will join The Daily Circuit Thursday to talk about political discussions and etiquette online. Lee Rainie, director of the Pew Research Center's Internet and American Life Project, will also join the discussion.